Financial management is a lesson that all must learn. For most of us, this lesson came in too late – we already got ourselves in debt. The good news is, the mistakes of our past can save the future of our children – at least if we act on it immediately and correctly. There is no such thing as being too young to learn about proper financial management. By simply practicing the right decision making for household finances, you are already teaching your kid through example. The first and important lessons are taught at home so be careful when your kids are around. No matter what age they are in, you will be surprised at how insightful they can be even when you are discussing money. The recent economic decline brought a lot of financial difficulties but it also taught us a lot of valuable lessons. Most of the changes are evident in the younger generation. The FICO.com showed a study about how the younger adults are starting to live without credit cards. We are talking about those within the age of 18 to 29. The report showed two different pie charts comparing 2007 and 2012. The data shows that in 5 years, the average credit card debt of this age group declined from $3,073 to $2,087. While student debt is still rising, it goes to show how the young ones are making smarter choices with debt. Compared to credit card debts, student loans are more practical as it helps the borrower gain the skills that will help them earn more. But the thing is, do you really want to wait for the economy to go down before you teach your kids the right skills that will protect them from a financial disaster? Encourage them to learn about personal finance management because knowledge will prevent them from making mistakes. Teaching your kid about finance concepts while they are very young is also possible. If you want them to manage their finances well, you need to start them young. Do not let them get used to buying what they want without knowing the value of money. If you spoil them while they are young, it will be very difficult to instill financial management skills when they age. Here is a guide that you can use as your kid discovers what money is all about. Coins are the first money that we all grow accustomed to. 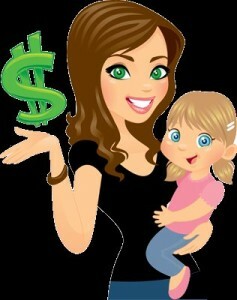 You can make it fun for you kid to learn the value of money because of all the tinkling sounds that it make. Show them how various coins have different values and how each of them is important to add up into a sizable amount. Introduce a piggy bank and give it personality. Tell your kid how this can open doors for better purchases if they are patient enough to put in coins into it. Choose a piggy bank that your child will have to break in order to get money. Let them grow attached to it to make them hesitant to get money from it unless it is a real emergency. If your kid starts receiving an allowance, teach them how to budget it. Make them responsible in ensuring that it will last for a specific time frame. A weekly or monthly allowance will force them to manage their money until the next allowance comes in. This is not to be heartless but you need to help them develop a sense of personal responsibility. For instance, give them a weekly allowance and do not add to it even if it runs out in the middle of the week. If you really have to add, take it from next week’s allowance. When you are teaching your kids money concepts, they will have an easier time understanding if they see you implementing what you teach. Put the household under a budget. When you are buying in the grocery, create a list and stick to it. Children are very observant and you will be surprised at what they will pick up. As your child start earning their own money or is about to move out of the home, you need to encourage them to practice what you had been teaching them since they were young. There are many ways to start teaching your kids about financial management despite today’s dire economic conditions. Actually, this is the right time to teach them about concepts that will help them prevent or recover from a financial crisis. When a young adult gets a taste of their own salary, they sometimes splurge on a lot of things. Here are a couple of concepts that you can discuss with them. Value of a savings account. Savings will help keep your child from ever having to borrow money. Any emergency situation can easily be funded when there is adequate savings. Not only that, money kept in a bank account can grow interest. By growing their savings, they are not only earning interest, they are also building a secure future for themselves. Investing is a tricky part of any person’s financial life but you need to teach this to your child to help them grow their money. Compare what they will earn if the investment pushes through. Identify the areas that they can invest in. It can be a great source of supplemental income for them. One of the most important tools that will help your child live within their means and thus practice proper financial management is a budget plan. Help them create their own household budget and teach them how to revise it as their income and expenses change over time. Stress out why it is important that they spend only what they can afford.